I got the following information from mybeerbuzz.blogspot.com. It will be interesting to see the reaction this beer gets as Rebel IPA created some fun conversations. Here’s your breaking craft beer news of the day so remember where you saw it first. 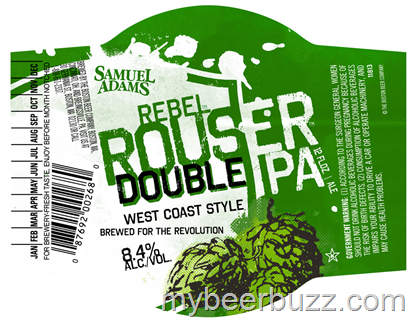 This is your very first look at Samuel Adams Rebel Rouser as it heads to bottles. This west coast style Double IPA is the 2nd IPA in the “Rebel” family and it will use American, Australian and New Zealand hops. Look for Rebel Rouser to come in at 8.4% ABV.